Every generation has a historical moment that they will remember forever. 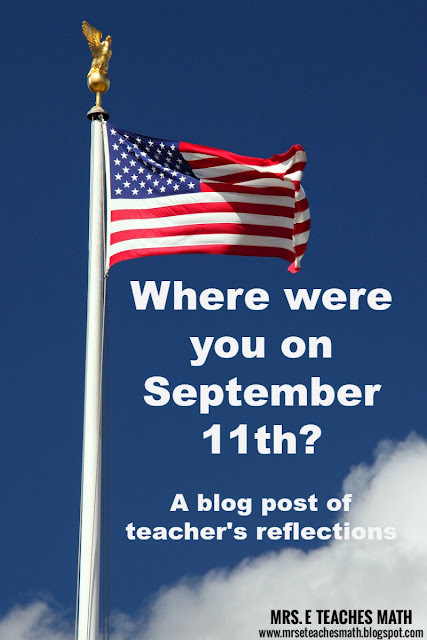 I will always remember where I was on September 11, 2001. I was a sophomore in high school and had gotten to school early that day. I heard people talking in the hall about a plane hitting a building in New York, but I didn’t really think much about it. In my first period speech class, the principal announced what was happening over the loudspeaker. My entire high school was silent. We moved through the school day like normal, but watched news coverage in every class. Everyone has their own story to tell from this day. A few of my friends shared theirs with me. To me, September 11th is a day to remember those who died in the attacks and in the war resulting from the attacks. As you move through your day, give a thought or prayer for those whose lives were permanently changed by this event.